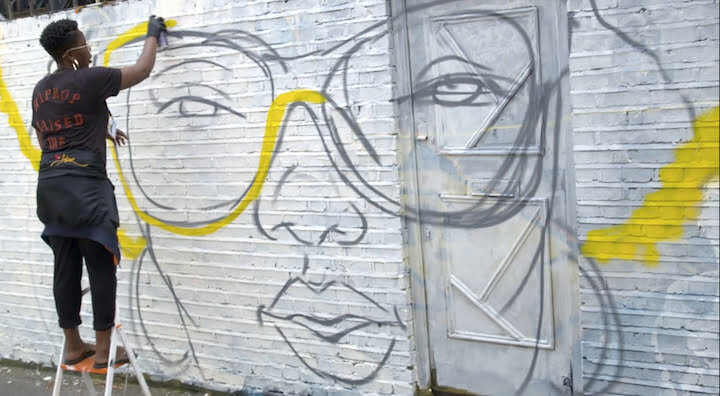 Anglo-Chinese producer and distributor IPCN is coproducing a street art series for its newly launched Chinese digital network Channel R with UK indie Zig Zag Productions. Shortform series The Writing’s On The Wall (5×5’) offers a whistle-stop tour of London’s radical graffiti culture, focusing specifically on female artists. The series will launch on IPCN’s newly launched shortform OTT channel, Channel R, which is available on Tencent’s WeChat platform. Earlier this month, IPCN and Tencent unveiled grime music coproduction Street Credit in London (5×5’), which will boost the offering of Channel R’s Rhythm strand along with a second season of episodes titled Street Credit in Chongqing (5×5’). Zig Zag previously worked on shortform series Troy the Magician (5×6’) for Facebook Watch. Read a perspective piece from Rebecca Yang, IPCN founder and chairwoman, about the booming factual shortform market in China here.